These early works by H. P. Lovecraft were originally published in the first half of the 20th century. 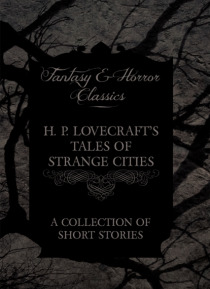 As a collection of short stories, this represents Lovecraft's tales of strange cities, and includes 'What the Moon Brings', 'Through the Gates of the Silver Key', 'The Quest of Iranon', 'The Nameless City', 'The Dreams in the Witch House', and 'The Dream-Quest of Unknown Kadath'. Born in 1890 in R… hode Island, USA, Lovecraft began writing at a very young age, quickly developing a deep and abiding interest in science. In 1913, Lovecraft joined the UAPA (United Amateur Press Association) but it was four years later, in 1917, that he began to focus on fiction, producing such well-known early stories as 'Dagon' and 'A Reminiscence of Dr. Samuel Johnson'. However, it was during the last decade of his life that Lovecraft produced his most notable works, such as 'the Dunwich Horror' and 'The Call of Cthulhu' which subsequently earned him his place as one of the most influential horror writers of the 20th century. Many of the earliest books, particularly those dating back to the 1900's and before, are now extremely scarce and increasingly expensive. We are republishing these classic works in affordable, high quality, modern editions.